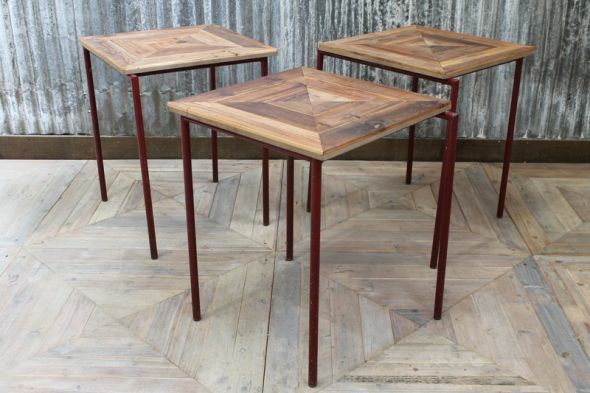 These stacking tables come from our large collection of vintage bar and restaurant furniture. 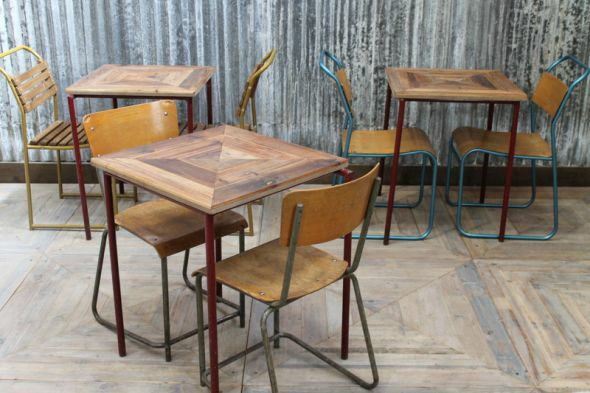 A practical choice of dining furniture for any commercial environment, these pine top tables can be stacked together and easily stored. 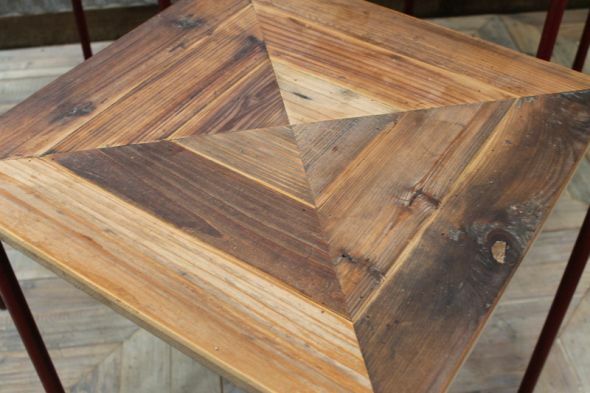 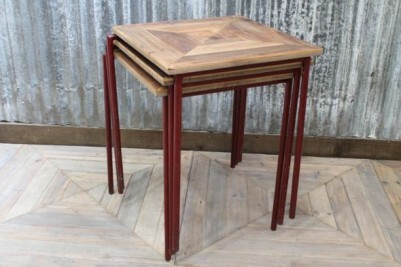 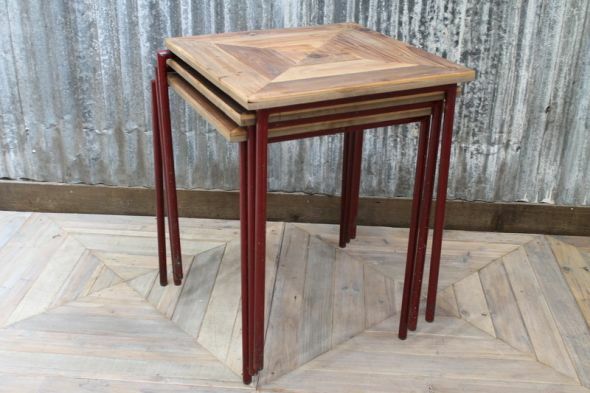 The tables have a chevron pine top, and a metal base with a burgundy red paint colour. These tables could be matched with any of our vintage stacking chairs – we have a huge range in stock in a variety of colours and styles. 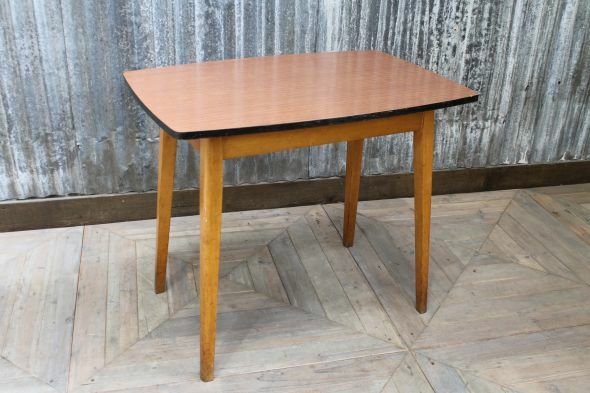 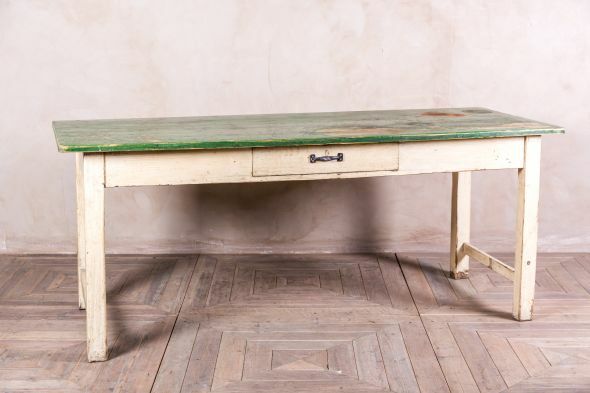 A lovely way to add a touch of retro styling to a coffee shop, cafe or pub. 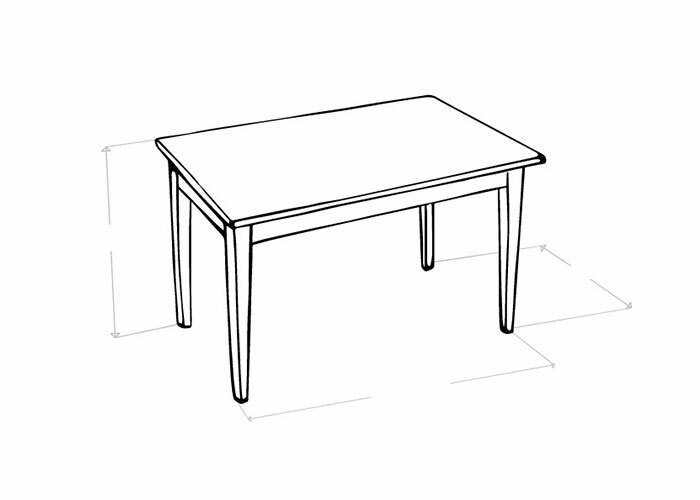 The price is for one table only, but we do have more available. 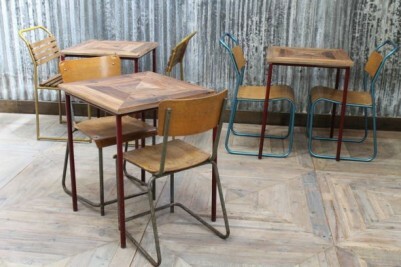 Other items pictured are not included in the price, but may be available to buy separately. 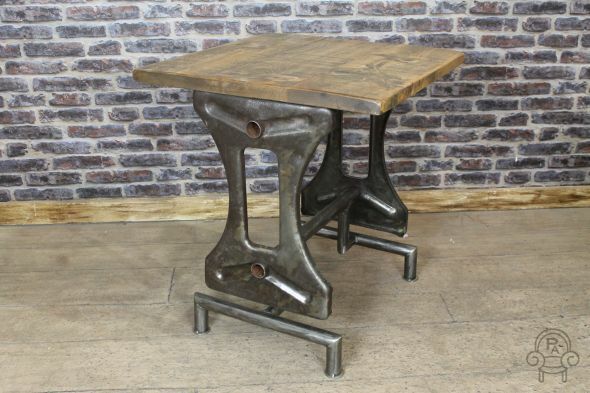 Browse our website to see our full range of vintage furniture – you can also visit our showroom in Staffordshire.